Access to a phone--any sort of phone. If you don't have a Gmail account, or you don't want to use it, open a browser, go to https://gmail.com and make a new account. Note: CCSF Gmail accounts do not work for this project. If necessary, open a browser, go to https://gmail.com and log in. On the next page, at the top, click "Accounts and Import". 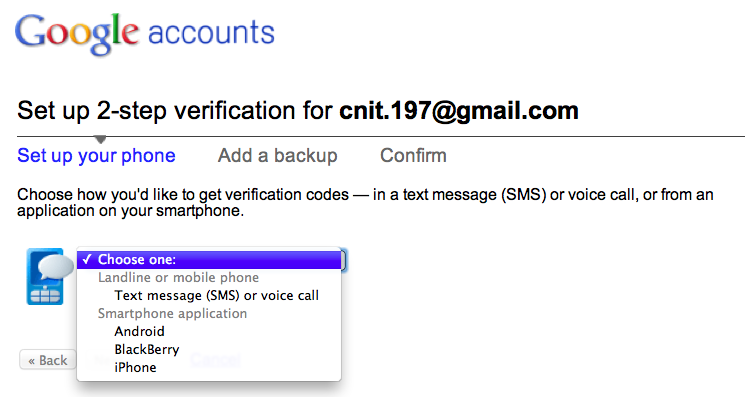 Near the top, click "Other Google account settings", as shown below on this page. Log in when you are prompted to. When your phone is set up, click Next. On the next page, click Next. A set of "Printable Backup Codes" is shown. Save these somewhere you can find them later. Then check the box at the bottom of the page and click Next. The next page allows you to set up a second method of getting codes. Enter a second phone number and click Next. At the next page, click the large blue "Turn on 2-step verification" button. A pop-up box appears. Click OK. The Gmail login page appears. Type in your email address and password and click the "Sign in" button. A page appears asking you to enter your code, as shown below. Get it from your phone and enter it. Click the Verify button. 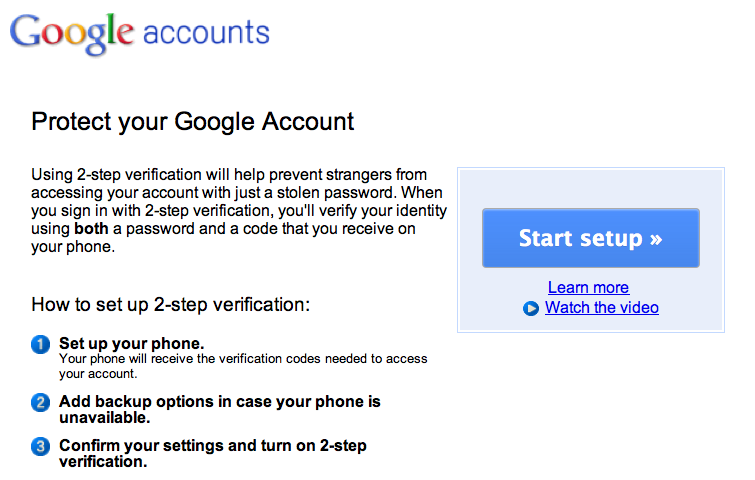 Make sure the "2-step verification is ON" message is visible. Save this screen shot with a filename of Proj 14 from Your Name. Email the image to cnit.120@gmail.com with a subject of "Project 14 from YOUR NAME".